What does the Waupaca Historical Society do? 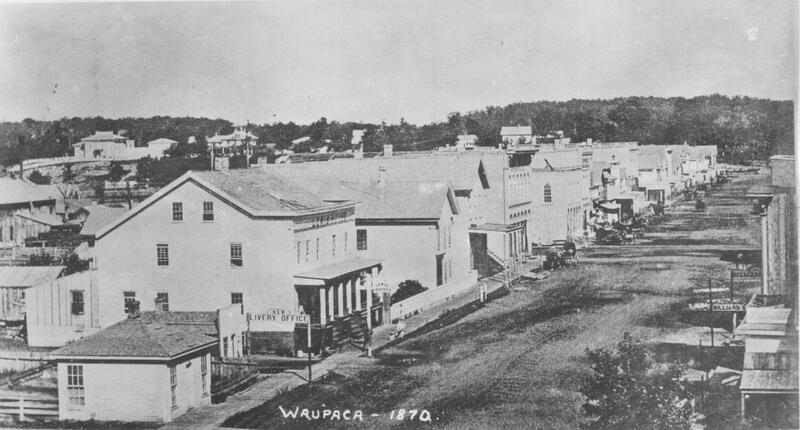 The Waupaca Historical Society preserves, advances and disseminates knowledge of the history of the Waupaca area. We do this through our exhibits at our four historic buildings, through our availability of research materials and services at the Holly History and Genealogy Center, and through our various educational and entertaining programs throughout the year. We also actively collect objects, archival materials and photographs directly related to the history of the Waupaca area. If you've never visited us, please stop into any of our buildings during our open hours or schedule a tour today at 715-256-9980 or director@waupacahistoricalsociety.org. I'm looking for information on my family or home in the Waupaca area. How can the Waupaca Historical Society help me? The Waupaca Historical Society's Holly History and Genealogy Center houses a variety of books, maps, papers and photographs pertaining to families, homes, businesses and many other topics in the Waupaca area. It is also home to the Waupaca Area Genealogical Society's collections. The organization's website has a list of some of its materials in its collections. If you would like assistance in your research, please contact the Waupaca Historical Society or, if related to genealogy, the Waupaca Area Genealogical Society here. The Holly History and Genealogy Center is open Wednesdays and Fridays 12-3 p.m. and Thursdays 10 a.m.-2 p.m.. In the summer (June through August), we are open Wednesdays and Fridays 12-4 p.m., Thursdays 10 a.m.-2 p.m. and Saturdays 9 a.m.-12 p.m. The Hutchinson House is open weekends during the summer (Memorial Day through Labor Day) on Saturdays, Sundays and summer holidays from 1-4 p.m. The King Cottage is open these same hours, as it is located directly behind the Hutchinson House. The Depot is open Saturdays in the summer (June through August) from 12-5 p.m. It is also open Saturdays, 12-5, in December. If you are in town during the week and would like to schedule a tour of one of the buildings, please contact the Waupaca Historical Society. The Holly Center and Depot are also available for rental for parties, receptions, meetings, etc.